We’ve moved to a bigger location! I would like to thank you for the opportunity to introduce you to Sinclair Industrial Roofing and the services we offer. At Sinclair Industrial Roofing our men are skilled and very customer service oriented. We are centrally located to service the Greater Toronto Area all the way from Oshawa to Niagara Falls up to Barrie. 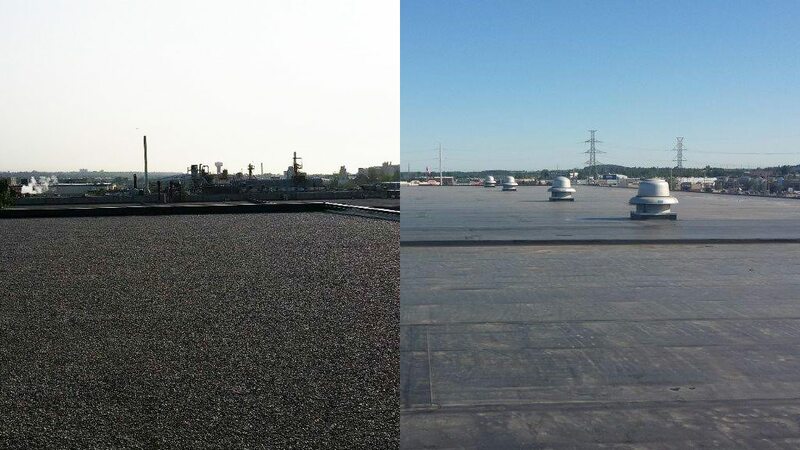 Sinclair Industrial Roofing offers a complete range of roofing services to our clients. Roof condition reports so you can budget your roofing needs. We have the skill set to take care of any type of roofing system. Whether it’s Fleece Back, 2-Ply Modified, 4Ply, TPO and even sloped roofs for single and metal roofs. We also do custom sheet metal requirements. On call to solve your emergency roof leaks. We are here when you need us to complete preventative maintenance, roof restoration, selective roof repairs, complete roof replacement, sheet metal. Manufacturers – Sinclair is a proud applicator of these quality roof manufacturer systems. Suppliers – Sinclair appreciates the great customer service from our roofing suppliers. Associations – we belong to and are certified by.